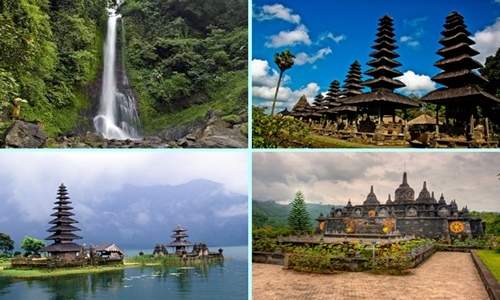 Bali tour package 5 days and 4 nights is best choices for those of you who are vacation in Bali 5 days 4 nights. With this tour package you will discover popular Bali interest places such as visit Tanah Lot Temple, Uluwatu Temple , Kintamani Vulcano, Ubud village and other popular tourist site. All our tour itinerary has been designed with you in mind, however we are happy if you would like to change one of our tour itinerary with other popular tourist site. The tour price is not included hotel, however we will be glad if you want to include it in our tour package. Please contact us now for best arrangement and special offer for book more than 2 person.